I know, i know, just couldn’t resist! 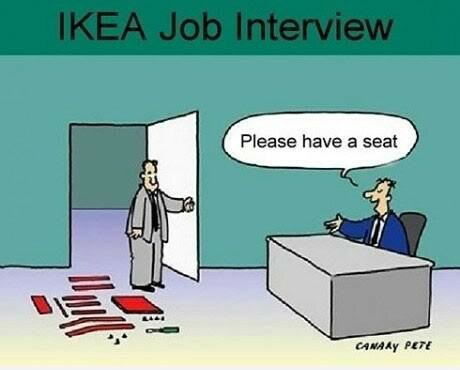 It reminds me of my husband , one of the reasons he hates going to Ikea! I would have so much for during that interview that I would forget the person sitting at the desk :)…lol…I miss the joy of geting home and starting to assemble a new piece of furniture and see it come to life in front of you ! It is so great! I ❤ Ikea ! !